In Year 2, there is a list of things that a child has to be able to do to be considered "working at age related expectations". These include making sure that their letters are all the same size, using clear ascenders (tall letters like h, b, d) and descenders (hanging letters like y, g, j), using clear capital letters and lower case letters and beginning to join their letters where possible. Our biggest focus in Year 2 is diagonal joins. 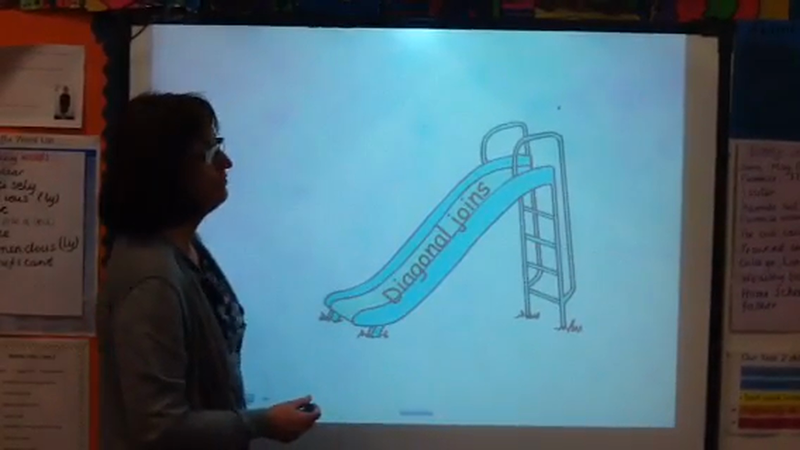 The Year 2 team have put together a video to show you how we teach diagonal joins and some examples of letters that we expect children to join with a diagonal line. If you have any questions about handwriting, especially since it may be different from what you learnt yourselves, please speak to your child's class teacher.